In other words, no matter how great your new employee is, banks will consider them only as an expense on the balance sheet. Capital providers are unlikely to change this stance, but it is a common situation that confronts small business owners. Our team has helped many entrepreneurs solve this exact problem – so what are your options? Secure a loan with company assets. The assets could include real estate, equipment, outstanding accounts receivable, purchase orders, work orders, inked contracts, and more. Refinance your existing capital structure. We have helped many entrepreneurs restructure their business’s financial infrastructure. Often, business owners have collateralized all of their assets and believe they will not qualify for a loan. By refinancing your capital structure, you can free up assets and reduce your debt financing costs. While there are countless variations of this scenario, it is a remarkably common situation for small business owners to be in. By providing our team with some information on the form above, we can tailor a plan to help you get working capital to hire new employees. Secure a loan with personal assets. Using personal assets is a risky approach, so I would not recommend it for most entrepreneurs. No personal assets should be used to secure a business loan that you are not comfortable losing. Find an Equity investor. Often existing business partners, friends, or family are the best source for this. In addition, you can leverage our network of 3,000+ equity investors. 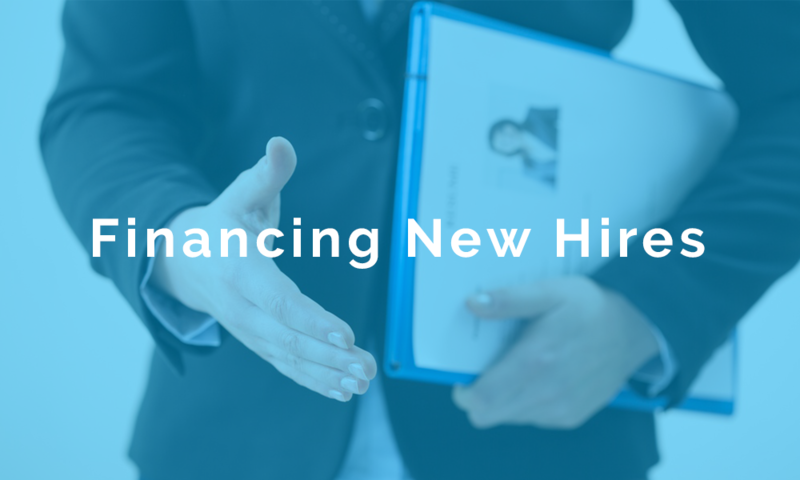 It is vital to have cash on hand when you have found a great new hire – they can be hard to come by. By working with our team, we can help you get the financing you need, often in the matter of weeks.